WASHINGTON (Legal Newsline) - A federal agency is keeping its research secret as it forces a controversial rule that will harm consumers and businesses alike, a fellow regulator is telling members of a U.S. Senate committee. Keith Noreika, the acting Comptroller of the Currency, wrote the chairman and ranking member of the Senate Committee on Banking, Housing and Urban Affairs on Oct. 17 to complain that a proposed regulation will have disastrous results for both the financial services industry and its customers – while benefiting trial lawyers. At issue is the Consumer Financial Protection Bureau’s rule that prevents banks and other companies from blocking class action lawsuits in favor of arbitration. Noreika says the rule will increase interest rates by at least 3.5 percent. “(CFPB) Director (Richard) Cordray may feel confident of the CFPB’s secret analysis, but… practical results are what matter most to working Americans who are counting on their government officials to look out for their interest and not the special interests benefited by this rule,” Noreika wrote to the members of the committee. The banking committee currently holds a measure that would repeal the rule. Republicans in the U.S. House of Representatives have already approved that measure, and it remains to be seen whether the GOP-led Senate will do the same. The letter follows a recent battle of op-eds in The Hill between Noreika and Cordray in which they debated each other’s forecast for the arbitration rule. OCC economists say there is an 88 percent chance of the cost of credit increasing and predict at least a 3.5 percentage point jump in interest rates. 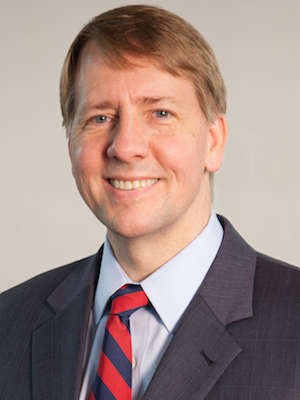 In response, Noreika is criticizing a perceived secrecy around Cordray’s data collection and his claims that: More than 90 percent of community banks and credit unions studied don’t use class action waivers; and banks have a less than one-in-1,500 chance of facing a new class action because of the rule. “(N)o one outside the CFPB knows how many community banks and credit unions the CFPB studied or any other information it relied on to draw these conclusions and so the statistics become meaningless,” said Noreika, whose office regulates national banks and thrift institutions. 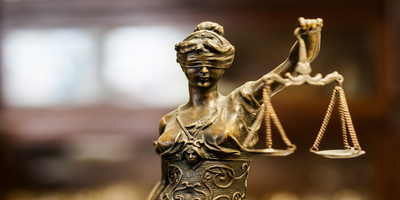 Noreika feels the rule could ultimately be a positive for large banks with the means to fight lawsuits because smaller banks would have a harder time bearing the cost of litigation. The OCC has arrived at its conclusion using the CFPB’s data and methodology from a working paper in support of its rule. Of course, a frequent criticism of the rule is that the CFPB’s own study shows consumers recover much more in arbitration than from class action lawsuits. In fact, Noreika proposes releasing the CFPB's data, if Cordray does not object. "Members of the public from all sides could then analyze the data and reach their own conclusions," he wrote. "Ensuring that rules and regulations are not based on secret data available only to the government will ensure that agencies do not behave in arbitrary and capricious ways." Noreika says the CFPB’s threshold for a “statistically significant” chance the rule will increase costs for consumers is 95 percent – only seven percent higher than the OCC’s determination. 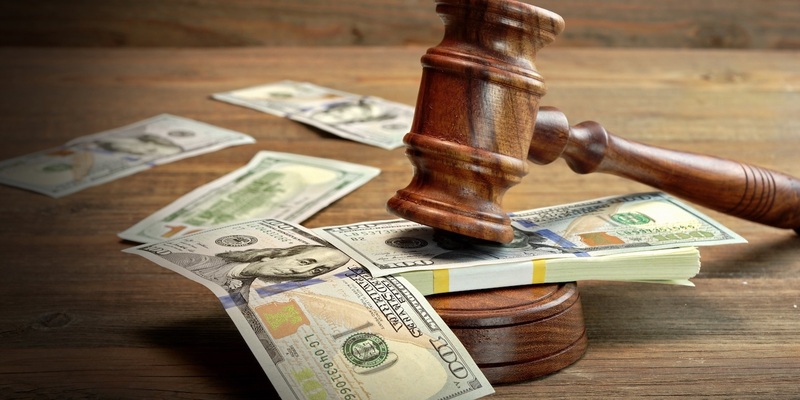 “Thus, when the CFPB states that the likely increase in cost to consumers resulting from the arbitration rule is not statistically significant, it is simply stating there is not a 95 percent or greater chance of cost rising,” Noreika wrote. Noreika asked if consumers should face those increase costs because there is an 88 percent chance they will happen, rather than a “statistically significant” 95 percent. “This is all the more important given that there is no evidence to suggest that banks will change their behavior as a result of the rule,” he wrote. The onus to fight the rule at the legislative level will be on a small group of Republican senators identified as possible roadblocks. They are Alaska’s Lisa Murkowski, Louisiana’s John Kennedy and Maine’s Susan Collins. Their support will be needed if the other 49 Senate Republicans want to use the Congressional Review Act to kill the rule.